Every business is growing faster with applying the best techniques and strategies. E commerce industry is also growing with its growing companies. But you need to know how you can run the eCommerce company well. All you need to have is good photographs of the product. In this busy world, people prefer buying goods from home by the help of eCommerce website. So it is important to put good photographs of products. To get good product photos, you need good product photography. Product photography is a tough thing to do and expensive as well. You can do it by yourself if you know some product photography tips and tricks. Here we brought to you some beneficial DIY product photography tips and tricks below. When you are doing product photography, one you which comes first to the concern is using proper camera and lenses. This is the most important product photography equipment we need to be sure about. 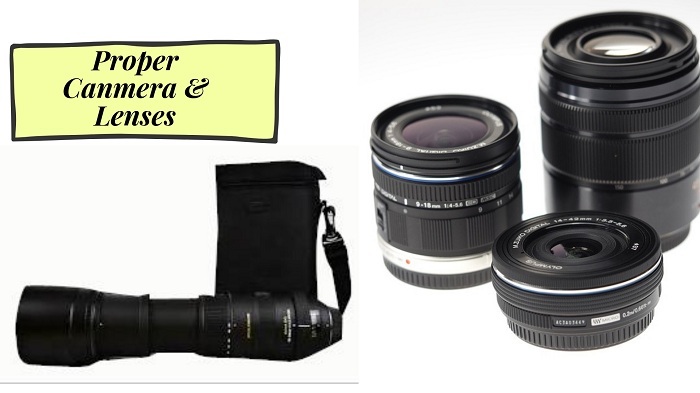 As we are talking about product photography, you cannot use every type of camera and lenses. But you need to know which cameras and lenses are best for doing product photography. 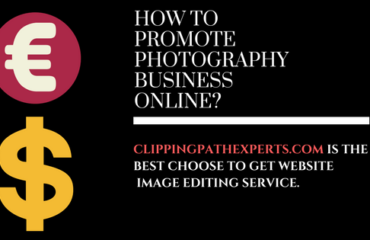 There are different DSLR cameras in the market which are used by most of the professional product photographers of the world. Talking about the lenses, lenses are really important for shooting product photography. It is lens which allows you to get clear photo. You can make a great focus on the main product of your choosing perfect lenses with your cameras while doing product photography. There are some high definition professional lenses used by the professional. Here are the names of the product photography lenses mentioned below. So whenever you are going to do product photography, remember that you need to use the perfect camera along with perfect lenses to do perfect product photography. This is one of the important product photography hacks. Photography and lighting is very much related to each other. When it comes to photography, lighting comes automatically. Without proper lighting, it is nearly impossible to come up with good photographs. So the use of good lighting is must. 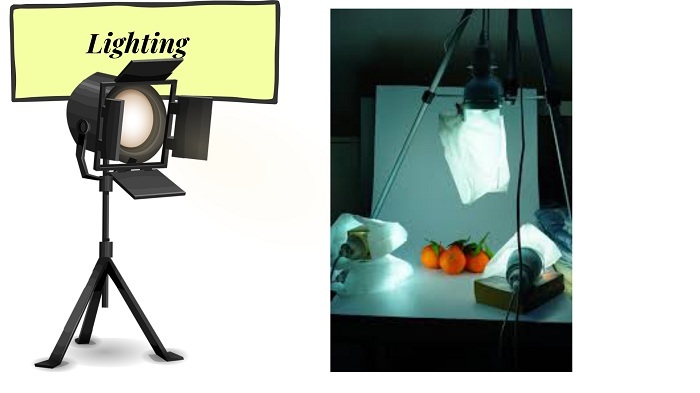 To do product photography perfectly, the role of lighting is very big. While shooting products in the studio, you need sufficient lights in the room. You can also use moonlights and reflectors which will help you to get more lighting while photography. You can even make the lights brighter if you use some papers around the bulb you are using near the product photography. You can do it yourself. But if it is day time and you are shooting outdoor, make the use of the sunlight properly while shooting. This will give you amazing natural lighting. Hence, you will not have to use the external lights. Lighting is important for product photography because lighting helps to make the products look more visible. So do the proper use of lighting while doing product photography. A background is one of the most important things in every kinds of photography. If you are running an eCommerce company and dealing with product photos but your product photos are not having good background, the conversion rate will go down and you will be failure for the bad product photos. So you need to choose the background while shooting product photography very carefully and wisely. One best tip for product photography I would like to give you is to avoid gorgeous and noisy background for product photography. 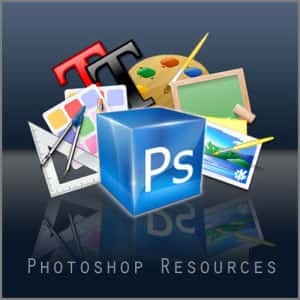 Use solid color backgrounds (especially white) as product photography background. You can make solid color background by yourself very easily. You can use different solid color materials which can be used as product photography backgrounds. Use different solid color clothes, curtains, hard papers etc. to make background for product photography. Most of the photographers use their studio for doing photography. So studio is a place where you can actually feel that some serious photography is happening professionally. It gives you a professional feel. It may happen that you are a product photographer but you cannot afford a professional studio. Well that doesn’t matter. 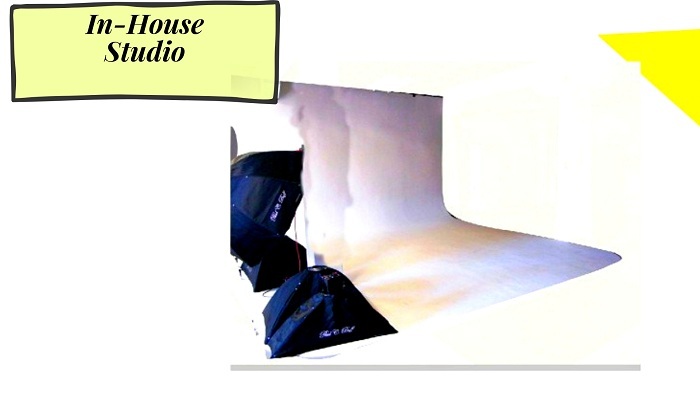 You can build an in-house studio by yourself for doing product photography. You do not need too many things for that. To build an in-house studio, you just need some free space of your house. Set some bulbs on the space, make a solid color background using solid color material and pick camera gadgets. It is as simple as that. So build the studio and start product photography shoot in that. For the product photographers, a white box is a very common word. This is one of the effective product photographs tips I want to share is to make a white box and shoot product photography inside the box. Well a white box is a box made of hard paper which is surrounded with four white paper walls. A white box will give you a white background. In the white box, you just need to put the product in the middle and shoot. 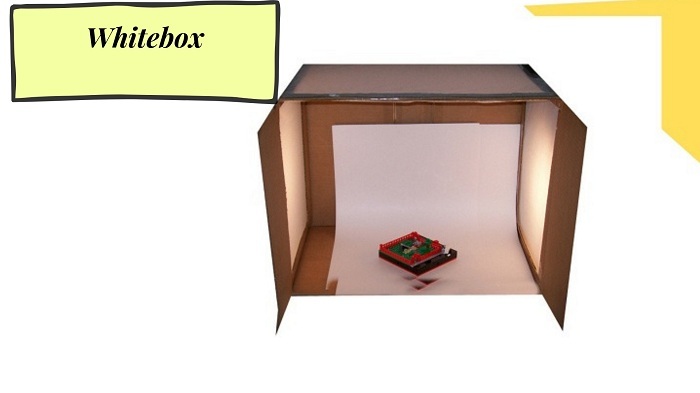 You can also set some light inside the box for lighting. Let me tell you can you can make a white box by yourself at home very easily. You just need a square medium sized box. Paint white color or put white paper inside. Your white box will be ready. You can also buy a white box from the market. White box for product photography is available nowadays. While doing product photography, you need to use some other equipment as well which will help you to do product photography correctly. In the equipment, tripod is the most effective equipment for product photography. Product photography may take a long time. It is quite hectic to hold the camera for a long time which may cause you shaky product photographs. Using a tripod will make the product photography easy to do. A great Equipment you may use is reflector. Reflector helps your product to get sufficient light which reflects the light onto the product. You can make reflector by yourself by using shiny papers. As a customer, I would definitely want to see the product photos from various angles while shopping online. Suppose you are trying to buy a product but you can only see the front side on the eCommerce website. You may want to different angles of the product of that product photograph. While doing product photography, you should click the product photos from various angles. Different angles of the photos will help you to show different perspective of that product photographs. 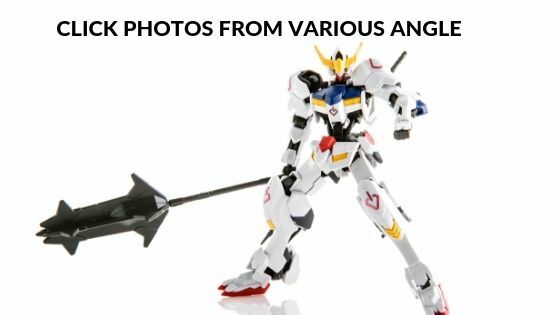 So it is better to display the product photos from various angles which will help you to boost the conversion rate of the product photograph. As we have talked about photography equipment, you can also make furniture product photography equipment. Do you know what it is? Well, I am talking about a table. Suppose you do not have a tripod or you are not being able to afford a tripod. 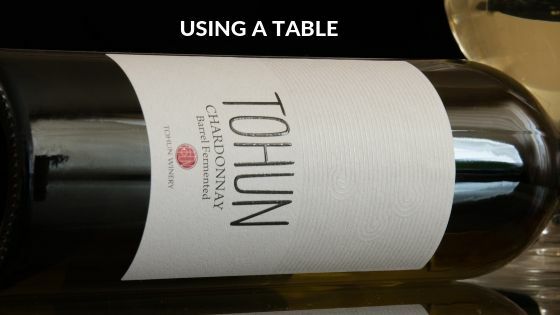 You can use a table of your home as a tripod. Just set your camera on the table and click product photography. This is a very easy thing to do which I have included in this DIY product photography tips and tricks list. After getting done with the product photography, you may find some flaws in the product photos. 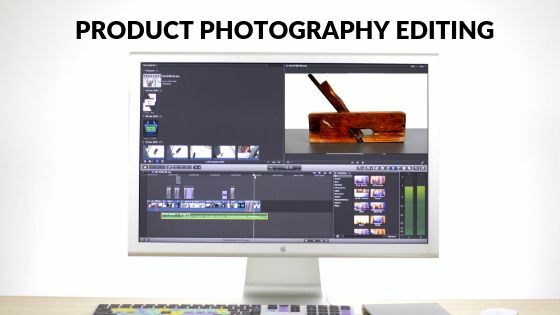 Product photography editing will change your photography using different techniques of photo editing. There is numerous product photography editing techniques you can apply such as background removal, photo retouching, color correction, photo manipulation etc. 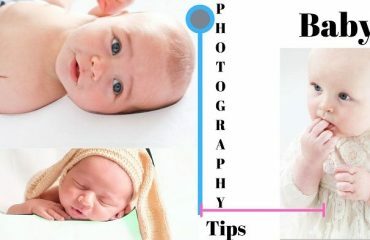 All these techniques will allow you to change the photograph and will make the photo look convincing enough. 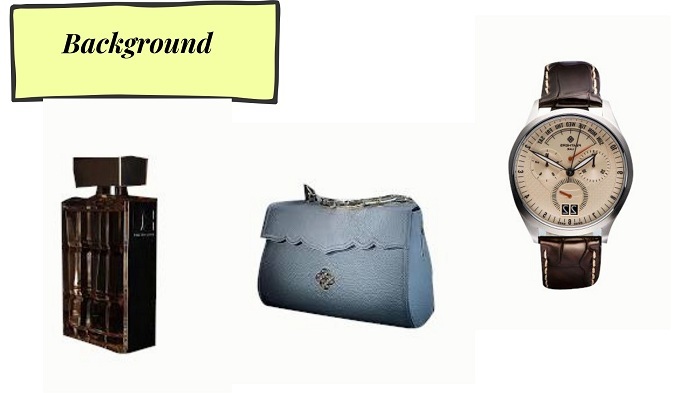 There are different photo editing companies who are providing some great photo editing services which you can take in order to make great product photographs. Photo editing is being used because a product photo having many flaws will just not get proper attention of people. So the brand image will also go down somehow doing so. So it is better to take some photo editing services and polish the product photos and present to the viewers. In the beginning, almost every product photographers remain confused about how can they do better product photography in less expense. 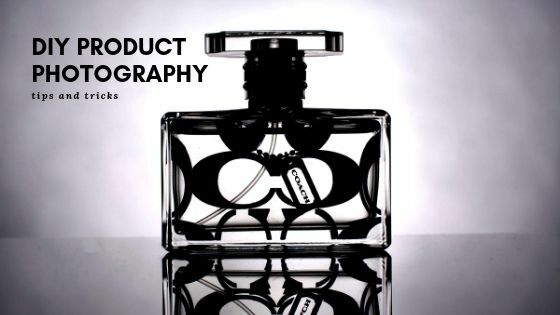 You can just do it yourself perfectly if you apply these product photography techniques while doing product photography. 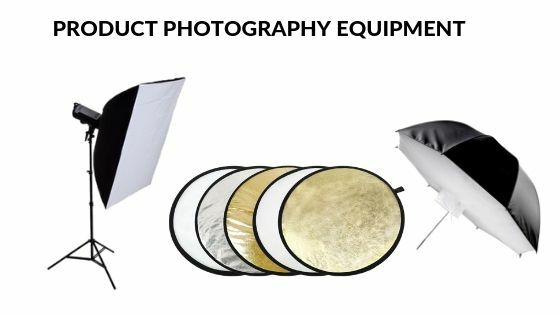 If you keep using these product photography tips, you are surely going to be a professional product photographer. So use these tips and tricks of product photography and show your inner talent to the world.